The redness of the skin can be caused by several causes; we tell you the most common. If you have eczema on the skin, it is very common that at some time of the year your skin becomes red. Even when you are using a cream to combat them, this irritation on the skin that gives it a red color may appear in a timely manner. The most important thing, in this case, is to find out what type of eczema you have on the skin and seek remedy to treat it if it is to be addressed. This disease has as a main symptom the redness of skin circles that are also annoying and unattractive. 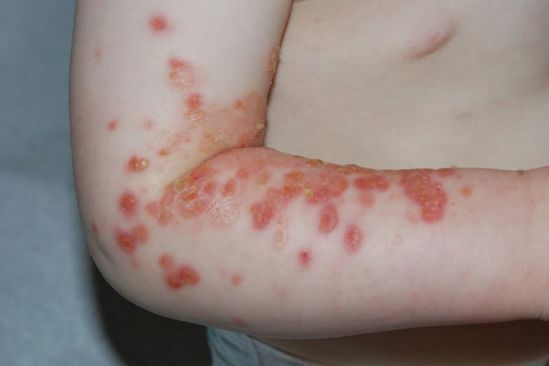 If you have had this disease for years or suffer from psoriasis and you have seen that the circles in which the disease is present have a much more intense color, go to a specialist immediately because complications may appear in this mild condition that end up making it possible to develop another much more dangerous disease. This disease is very common in children and it involves the invasion of a number of bacteria that live under the first layers of the skin. One of the first symptoms of the infection is that the skin has a reddish appearance, if after that you see that blisters start to appear or that your skin gets itchy, go to a doctor. It is a disease that treated does not have any consequence in the future and is easy to eliminate. Punctual poisoning by some food that we do not know suffering from allergies can also cause a rash or redness in the skin. If you see that the redness has been intense but it has not lasted more than 72 hours, you should go to the doctor to do an allergy test because you are probably allergic to some food and do not know it. It is very important to remain calm and discover what may be causing the redness in the skin, possibly not serious and disappear in a simple way but it never hurts the advice of a dermatologist to avoid possible problems in the long term.